Red Dead Online camp is used as a base of operations for you and your posse. It’s a place where you can rest, refuel, and plan your next heist, but you also have to protect it from other players. You can also move it to a prettier place if you get bored of the landscape. 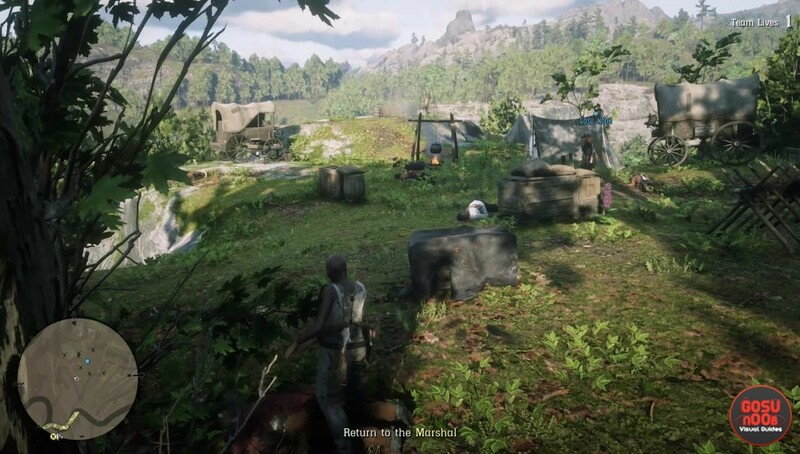 There are a handful of things the camp allows you to do, and this guide will tell you everything you need to know about camps in RDR2 Online. How camps work in RDR2 Online? Once you’ve set up a camp, any member of your posse can use it as their own. They’ll be allowed to do all the stuff you are, except for moving it. This means preparing food, crafing items and changing their clothes. If you raise the white flag, they can also use it to hide from groups of enemies roaming the surrounding area. When you decide to lay down the foundations of a camp, you’ll have to choose between a small and large one. The small camp can host up to four people, while the large one houses up to seven. The daily upkeep for the small one is one dollar, while the big one requires two. The price of moving is also affected by size – if you want to move a small camp, you’ll have to pay two dollars, but transferring the big one costs four. Similarly to the singleplayer portion, there is stuff you can upgrade in the camp, that should allow you access to more options when crafting, cooking and generally using the camp. You’ll have to invest money into the camp to unlock those, and both you and your teammates will be able to contribute to this cause.